I grew up near the AC Nielsen Tennis Center in the suburbs of Chicago. When my parents received an invitation in the mail from Nielsen to participate in a television study, I learned all about my community center’s unique connection to TV ratings. I stepped up to the task, and eagerly self-reported watching every episode of my favorite show, The Simpsons, not taking for granted my opportunity to have my opinion heard by the TV industry. Traditionally, Nielsen measures the audience size of a live show broadcast, and assigns it a rating, which is used as a standard for content programmers to understand a show’s popularity compared to other shows, and thereby the demand for advertising. With the popularity of first DVR’s and now the growing prevalence of over-the-top video streaming services, audience behavior embraced time-shifted viewing habits. So, in 2014 Neilsen evolved its ratings from linear TV to include digital, video-on-demand viewing. They called this the C3 Rating. How are C3 Ratings connected to advertising revenue? C3 Ratings were developed by Nielsen as a way of quantifying audience size and they are used by the industry to set advertising rates. “C” stands for commercial and “3” is for three days. 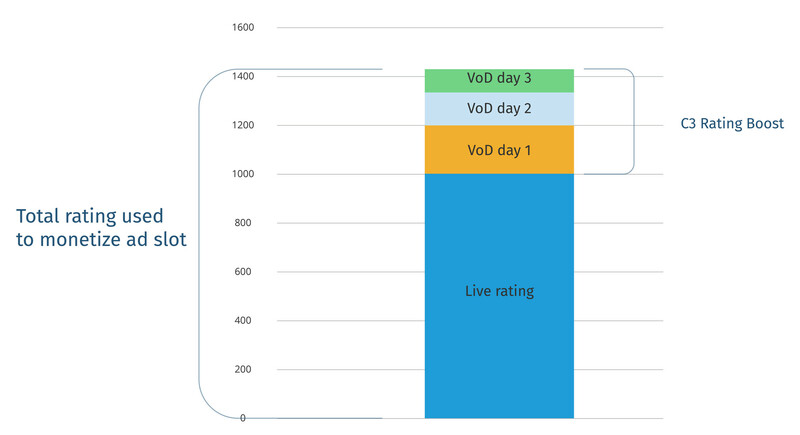 It measures the reach of the viewership not just of the live broadcast of a show, but the time-shifted consumption of VOD views for the following 3 days. During the C3 period, the content is published untouched — that is, even with the same commercials as the original broadcast– on VOD platforms. All of the additional views that occur during this C3 window is added to the initial rating to create a higher rating, and thus higher demand among shows competing for ad dollars. After this C3 viewing window and new adjusted rating, ads can be replaced, and the content can be monetized differently. Nielsen also measures “live-plus-same-day” and “live-plus-seven” (C7). 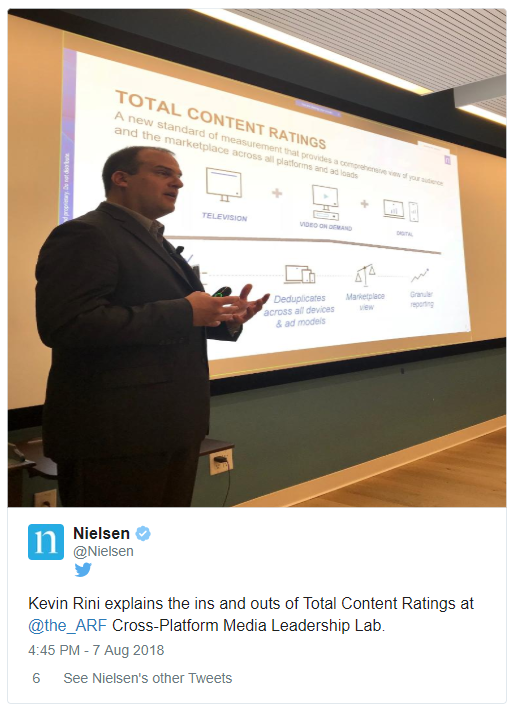 In 2017, Nielsen developed a new solution called Total Content Ratings to combine the traditional TV audience size with digital content reach through new services like Netflix in an effort to, “provide the industry’s most trusted audience measurement metrics for video content across platforms and devices.” (Nielsen). Though public criticism by programmers such as NBCU and Viacom led Nielsen to restructure their methodology recently. Since C3 remains a major reference point to set prices for advertisers, it’s more important than ever for media sellers to “effectively monetize their inventory across platforms and linear and dynamic ad loads, reducing waste and increasing revenue” (Neilsen). How can advertising revenue grow from monitoring QoE ? Enter Quality of Experience: since there are many critical points of failure in the OTT video delivery chain that could cause a VOD asset to be unavailable or undiscoverable, the best way to ensure the availability is by using digital services the same way a user would. But manually checking for hundreds of VOD assets on dozens of digital video platforms is arduous, time consuming, and expensive. 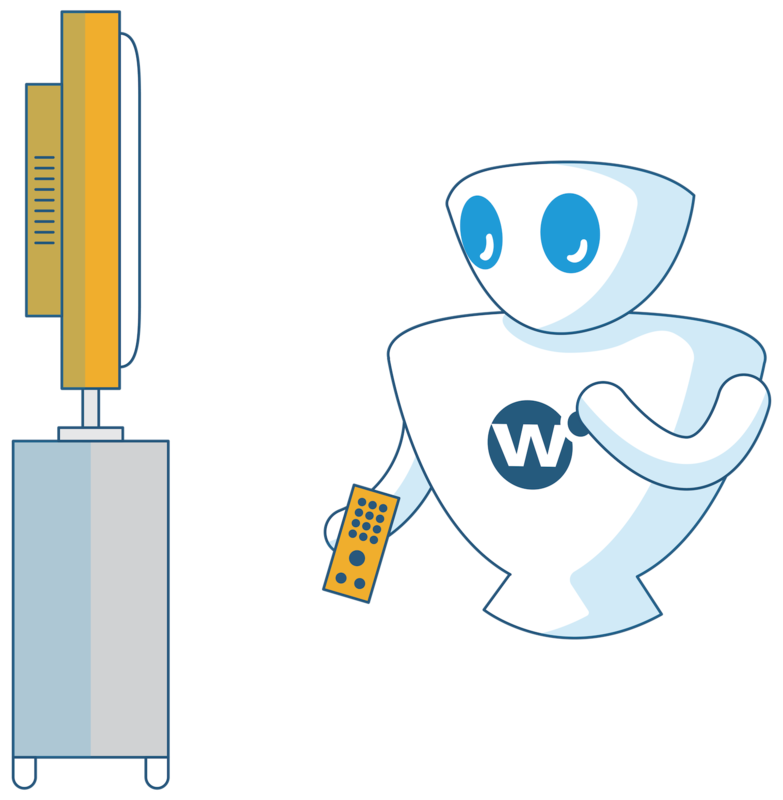 Witbe Robots can take a pro-active, automated, nonintrusive, user-centric approach to monitoring for VOD asset availability. We’re already doing this for thousands of VOD videos on hundred of devices and dozens of OTT video platforms daily. If even one VOD asset is found missing, and can be restored properly to the VOD catalogue during this critical measurement time-window, the Robot has already delivered a return on the investment. Ratings have come a long way since those days I self-reported watching my favorite show, with new audience measurement techniques and big data removing the reliance on self-reporting. Startups like TVision Insights are actually measuring the eyeballs and sentiment of viewers — creating an Attention Index — tracking when they are looking down at a second screen and when they leave the room. Imagine in the future, a new metric for TV advertisers to pay according to audience attention and not mere size. Video ads will evolve just as display ads did — from pay-per-impression (PPM) to pay-per-click (PPC) to pay-per-action/acquisition (PPA). As a QoE company, Witbe looks forward to playing our part in the future of advertising — a future with proactive monitoring and reporting of VOD asset availability! If you want to learn more about maximizing your advertising revenue by ensuring your VOD asset availability in any service, through any network, on any device — meet us at IBC on September 14-18 in Amsterdam!